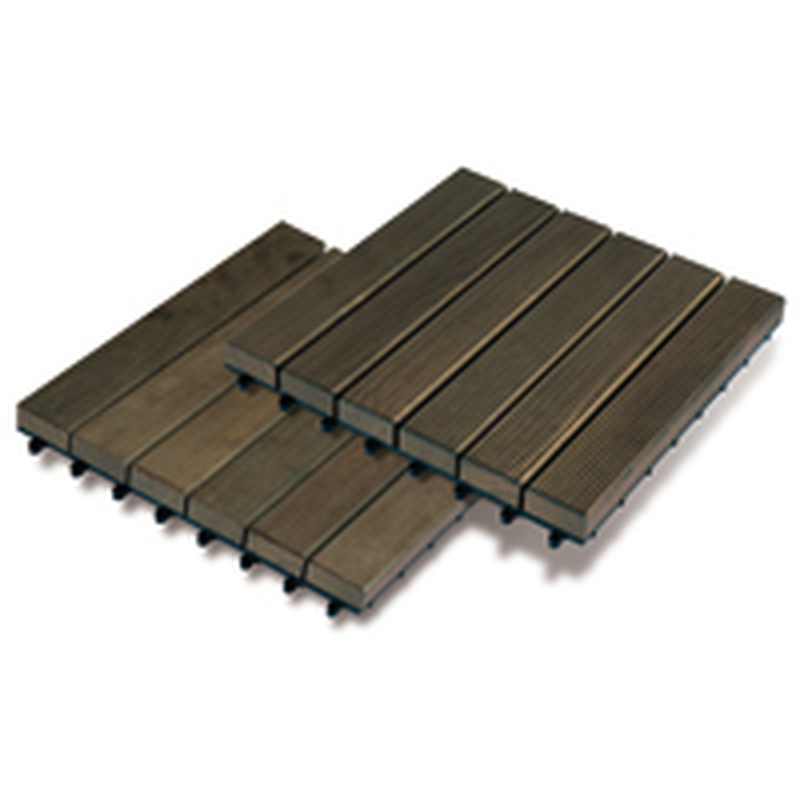 What is the thermotreated wood? it is a wood treated in oven at high temperature for a lot of hours, making it compact and resistent to micro organisms as bacteria and mould. In plain English, after "cooking" wood becomes very harder and resistent than its original status, almost as fossil wood, not subject to go bad as natural wood. 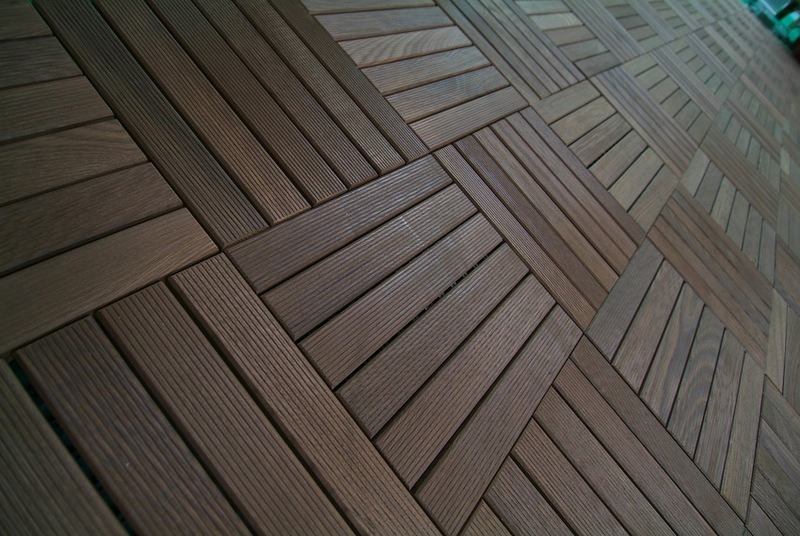 a noble essence as the thermotreated ash ALUSTEP emphasizes all these characteristics, making it similar to teak. Unchangeable: the termic treatment deep to heart, not only on surface, makes it uncrushable and keeping of these features for long lasting. No crakings or slivers: the mix of treatment and high quality wood gets allows to exclude any cracking or sliver along the time. Important feature for barefoot walking by the pool. 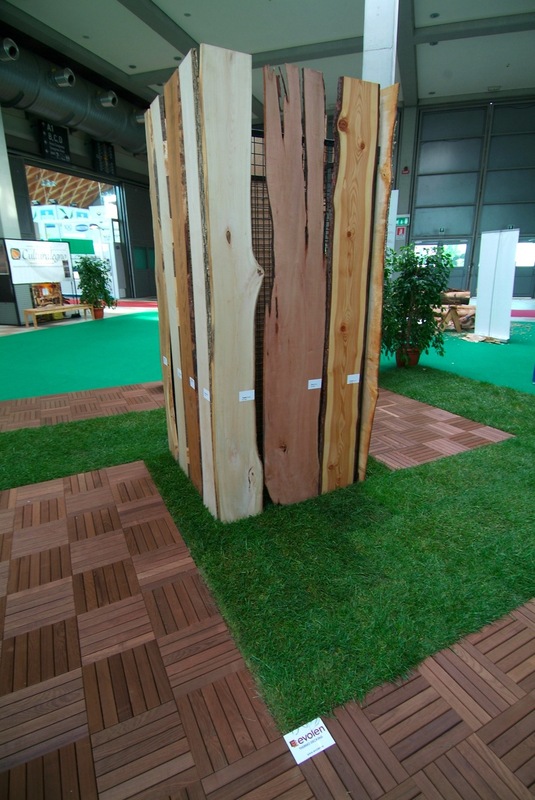 wearing and shocks resistent: after the thermic treatment the nobe and soft ash wood becomes an hard and compact wood for outside. High hardness allows to resist to wearing and shocks by garden fornitures. why it is different from other woods for outside? Le piastrelle ALUSTEP® termo trattate non devono essere confuse con altri prodotti sul mercato che sono solo apparentemente simili. Nei legni impregnati in autoclave o, peggio, solo oliati, la protezione è unicamente sullo strato superficiale ed ovviamente si perde nel tempo a causa degli agenti atmosferici (pioggia, vento) e del calpestio. Invece il legno termotrattato non si modifica nel tempo perchè tutta la struttura è stata modificata, in superficie ed all'interno: non si altera già nella prima stagione, ma si mantiene uguale stagione dopo stagione. Volendo, può essere tagliato e sagomato senza inconvenienti, perchè non marcisce sul lato tagliato. SELF-LOCKING: simple male/female fastenings make positioning very easy, without any specific experience. SELF-DRAINING: the lower frame has feet to keep highe the tile from ground, leaving water free to flow away. Con l'elevato spessore del legno e la forte struttura inferiore di collegamento dei listelli, serrata con viti in acciaio inossidabile, la piastrella in frassino termotrattato è estremamente robusta per qualsiasi applicazione. Grazie ai piedini autodrenanti in robusto nylon che tengono sollevata la piastrella da terra, non c'è alcun ristagno di acqua. La piastrelle in frassino ALUSTEP® si possono disporre a listelli allineati o incrociati per un effetto damascato. La posa risulta estremamente facile grazie ai pratici ganci maschio / femmina. Formato della piastrella: 30 x 30 cm di spessore totale 3,2 cm. Finitura: superficie liscia o scanalata antisdrucciolo. SELF LOCKING: simple fastenings male/female of lower plastic frame make deployment very easy, without any specific experience. SELF DRAINING: feet of plastic frame keep tile over the floor or ground, leaving water free to flow away. NO SPECIAL GROUND REQUIRED: tiles are so strong that they can afford unplain surfaces too. LONG LASTING: not only wood can resist to worst weather, but also stainless steel screws keep plastic frame fixed forever. ​other sizes on request, according to availability. ALUSTEP® tiles are made of natural wood, and wood only: ash is treated in oven without any additive, just heating, and it's so that wood gets the warm brown color, loosing the original cream white. Environment friend since the beginning: our ash comes from FSC certified woods only. 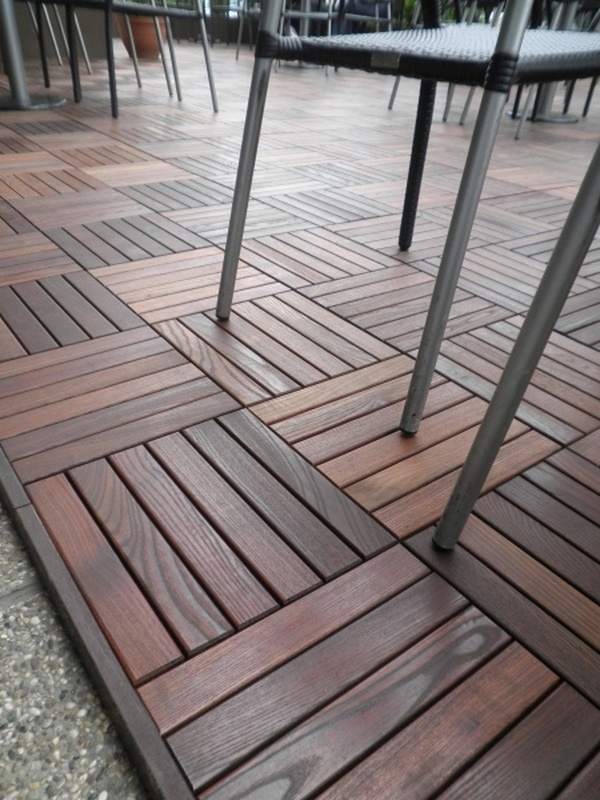 thermotreated ash is not affecte by bad weather, but as teak also, is sensitive to UV sun rays that make it become gray along the time. This action can be rejected by special oiling UV protective just when in place; later the oil effect can be kept by periodical maintenance, maintaining this way its warm brown color. ALUSTEP® ash tiles system used as flooring on terraces, replacing tiles or over existing tiles, will reduce strongly temperature and radiation compared to traditional floors. Terrace gets less warm under the sun and immediately comfortable after sunset, no neeed of waiting for cooling. 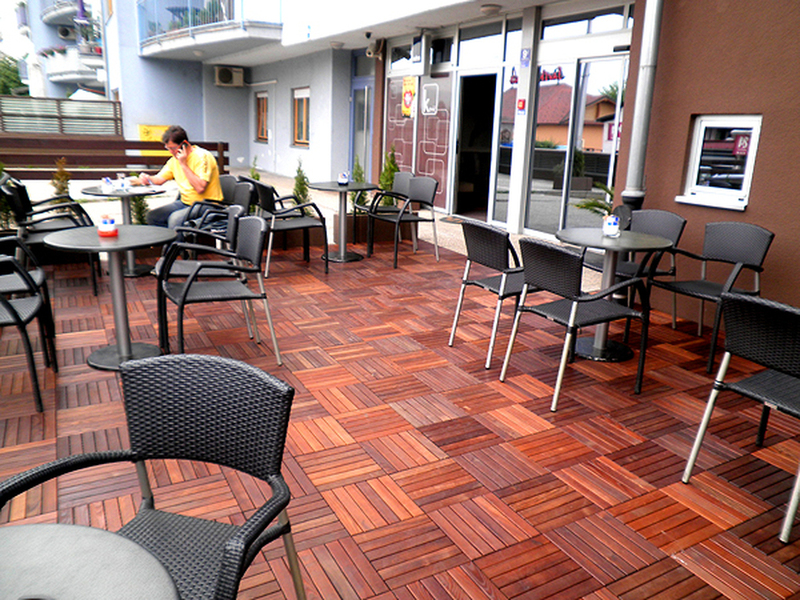 Used ad covering on a terrace roof, in summer it will reduce heating transmission to rooms below, reducing costs or even need of air conditioning, a part the improved look of wood tiles. 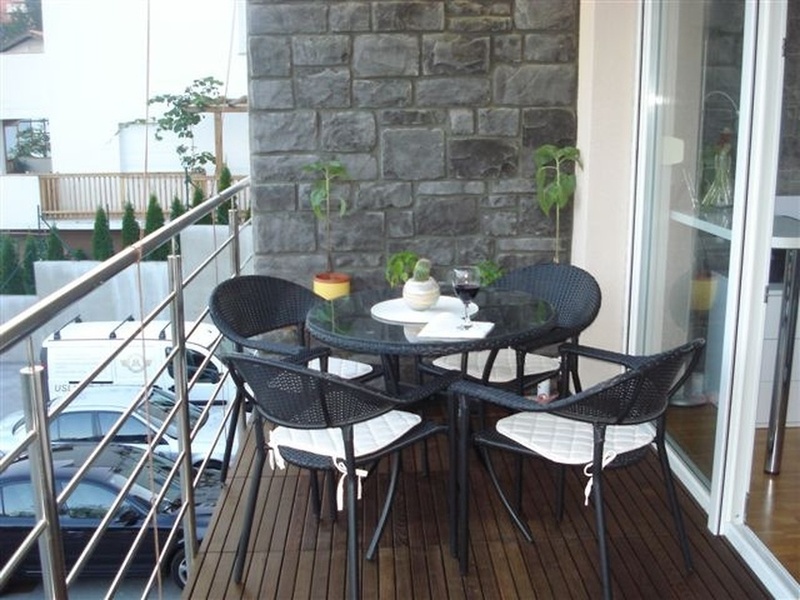 By ash termotreated tiles ALUSTEP® you can transform unusable flat roofs in comfortable terrace, usable and worthy. By ash termotreated tiles ALUSTEP® you can design your own pool contour, by yourself and easily, thanks to self locking system of tiles. On flooring with thermowood tiles you will not slip anymore and not be burned, as wood do not cumulate heating as cement or stones, neither get overheated and slippery as plastic.tiles. In addition you will have the pool area withoud mud and grass. And if you will you can remove quickly the flooring during winter season: easy to assembly and disassembly. 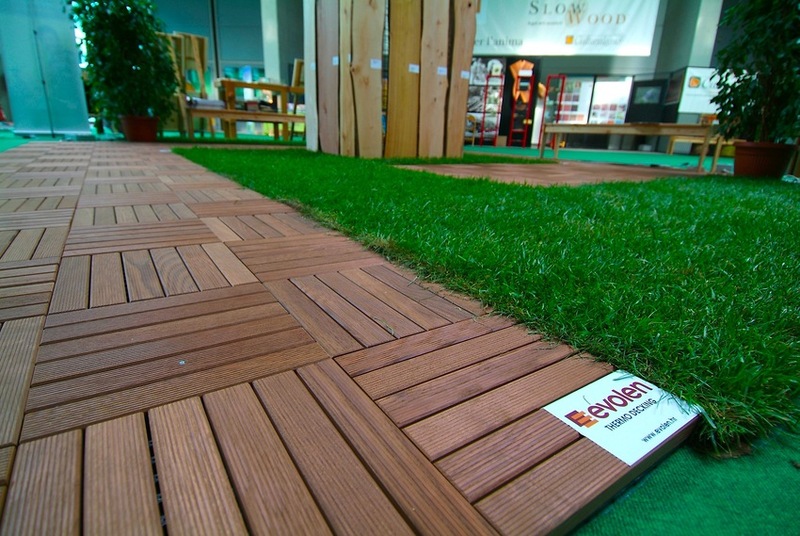 By ash termotreated tiles ALUSTEP® you can realize a platform over the grass or cover a muddy track. Self locking system it's a good solution to create a relax area over the grass where to place chairs and tables without sinking into the ground, and you can design it as you like.